OK, I admit, it's been a hot minute since I last went for a full-on facial. You're meant to get your pores cleared and blackheads extracted at least once a month, but I haven't had it done in a while (you really don't wanna know how long it's been), so suffice it to say, my skin's been suffering. 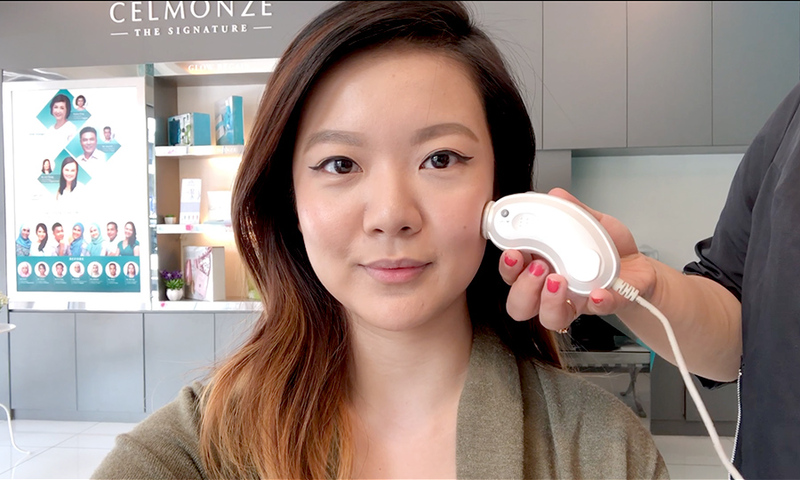 I was approached by Celmonze The Signature and given the chance to try out their Appelution (anti-aging) treatment recently, and obviously I was game. Celmonze is a Paris-based professional skincare salon, with research labs based in Europe and North America. 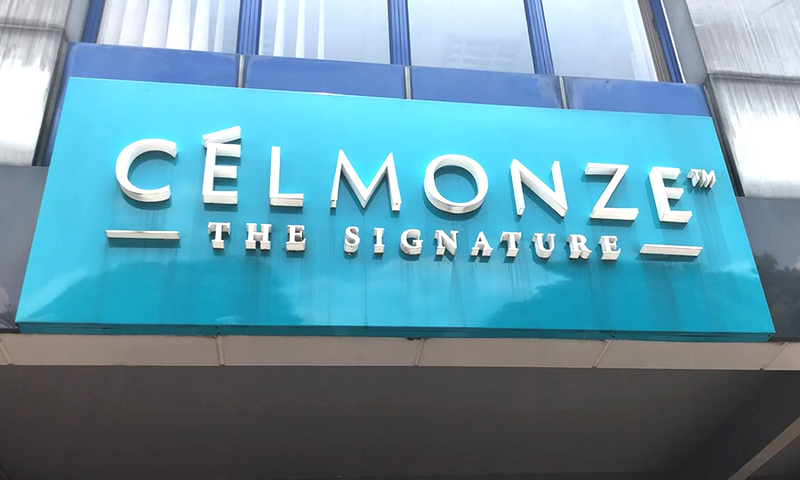 They introduced Celmonze The Signature salons, which is currently celebrating its 2nd anniversary. They've launched a pretty interesting campaign in conjunction with their anniversary - "Where Beauty Meets Innovation", featuring 3 successful women who have "successfully innovated themselves to achieve their goals in life". Check the campaign out here if you're interested, it features Carey Ng, Anjoe Koh and Shiha Zikir. 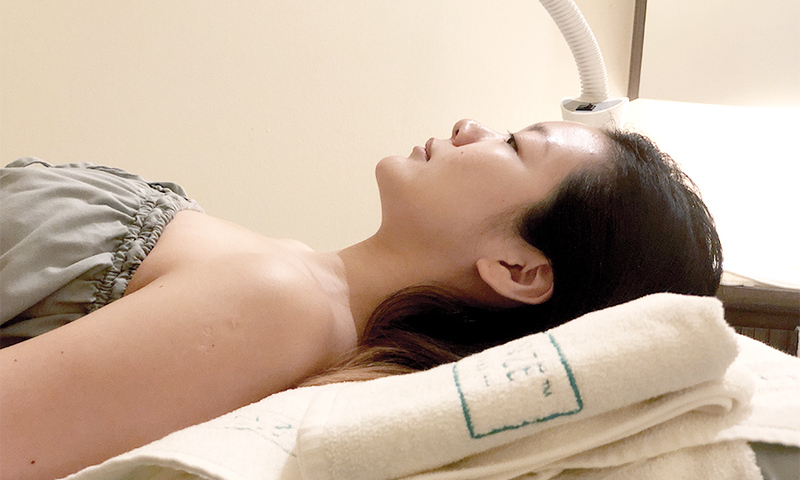 Back to the treatment, Appelution is an innovative facial treatment aimed at solving 5 skin problems - dehydration, sagging, dull skin, pores and pigmentation. The treatment is based on and utilises swiss apple stem cell, derived from a special species of apple called Uttweiler Spatlauber. This treatment took 7 years of research to perfect. It is meant to make your skin look more youthful and luminous. In case you were wondering, it's needle-free (phew!). It uses a device called a Titanium Mesojet to deliver the skincare treatment deep into the skin. It feels like a very tiny massage device on your skin, and only stings the tiniest, teensiest little bit when the device hits your facial bones like the cheekbones. I won't bore you with the details, I'm sure you want the real-life treatment process instead, so here it goes. When I first arrived, I was taken into consultation, where they analysed my skin with a micro-camera. They then decided that my skin was too sensitive and troubled (read: badly maintainted!) to proceed with the Appelution treatment from the get-go, so we started with 2 facial sessions first called 'Medify'. These really helped clear out my pores, and cleanse and hydrate my skin. That took about 2 weeks to complete, and then I was ready for the Appelution treatment itself. My consultation session with the micro-camera. The facial rooms were extremely well-maintained (I visited their Sri Petaling branch) and clean, and the facial therapist was lovely. There's an awesome hot stone massage at the end of each facial, and she immediately changed the pressure of my massage to suit me when I told her that her initial pressure was too strong for my liking. On to the facial itself. We started with the usual facial cleansing, massage, a light peeling exfoliator, and then my favourite - extraction (it just makes me feel like my skin is going to be so clean and fresh after). Once that was done, the actual treatment began. The Titanium Mesojet device was brought in, and the therapist started loading the treatments into the machine. All in all, there are 5 activators/concentrates that are applied to your skin - Fresh Makeover for hydration, Fast Recharger with antioxidants and to boost blood circulation, Quick Fixer to cover fine lines (yay! ), Insta Younger to smooth pores, and Visi-Illuminator to boost the skin's glow. Each activator is used for 1 facial session. The application process was very quick, maybe about 10-20 minutes in total, and the entire facial was an hour long, so I definitely recommend this if you're looking for a relaxing lunchtime skin-boost. There is no downtime for this facial - just bring along some makeup to touch up after you're done and you'll be ready to head back to the office with 'glowier' skin. Once I was done, I was taken into consultation again to check on the progress of my skin. It was definitely instantly more glowy, it felt hydrated, and I felt friggin' amazing after that hot stone massage. 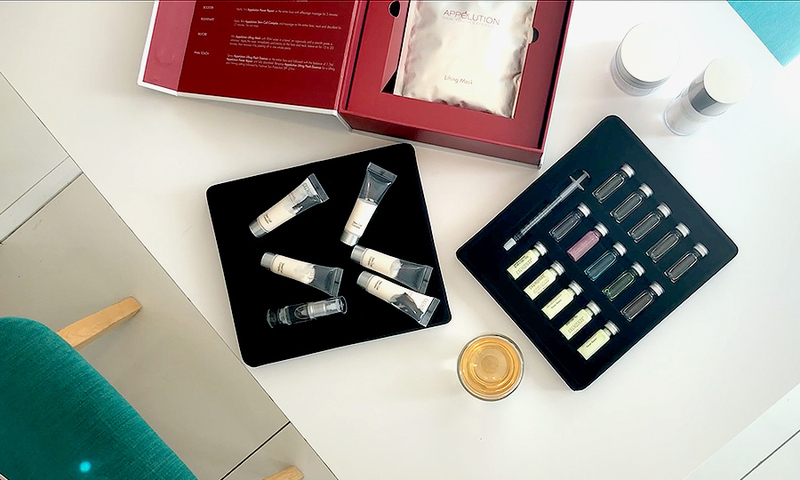 There are skincare products that come in little vials that you're given to take back so you can maintain your skin after the facial, the Appelution Stem Cell Concentrate and the Appelution Power Repair - both to boost your skin's youthfulness. There are also extra skincare products you can purchase if you want to - a Stem Cell Complex infused with Vitamin C and antioxidants, and a Lifting Flash Essence with hyaluronic acid to restore the skin's elasticity and firmness. It's been a week since the facial, and I can definitely see how much smoother and firmer my skin has become. As far as my pores go, they're slightly smaller, but they're definitely still visible, and the makeup still settles in there (my pet peeve), but I'm still optimistic because they have actually shrunk in size a little, and that's a win for me. I'll keep an eye on them and see if there are any further improvements, but do bear in mind that even if a treatment shrinks your pores, they're not gonna stay shrunk for long if you don't upkeep your skin and go for monthly (at least) extraction facials (and yes, I am talking to myself when I say this!). I'm really happy with my entire experience at Celmonze The Signature, and I will definitely be going back to get more facial treatments done. I'll be releasing a more in-depth review of the Appelution treatment once I've had the chance to observe my skin a little bit more, and I will be sharing that soon. A little comment about the "Where Beauty Meets Innovation" campaign - I think it was a wonderful idea for Celmonze The Signature to launch a campaign featuring beautiful (and I mean both inside and out), successful women, to encourage and inspire other women out there to innovate, create, and be the best version of themselves. Innovate yourself for the better, but don’t define your success by someone else’s idea of what success is. Achieve innovation and success on your own terms, in your own way.